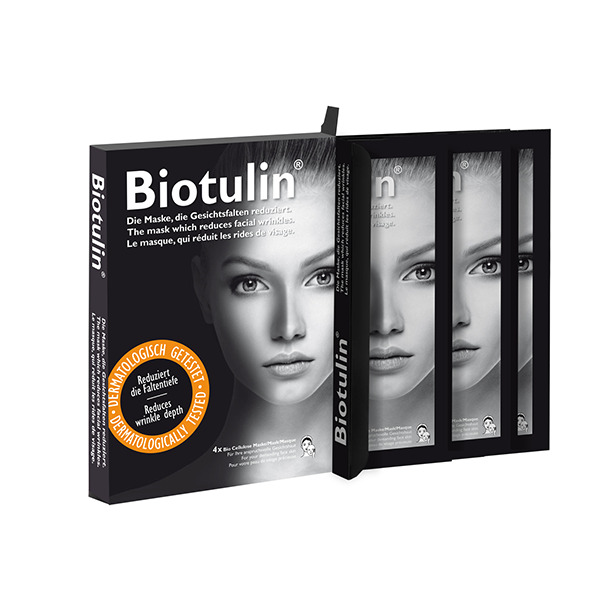 Biotulin works on several levels at once. First, the Spilanthol, a local anaesthetic extracted from Acmella oleracea, reduces muscle contractions and relaxes your features. This reduces fine lines, particularly around the eyes and between the eyebrows. Your skin becomes noticeably smoother. A second extract comes from Imperata cylindrica, also known as blady grass. This plant grows in the very driest of South America’s desert regions and is able to survive even on saline soils. This extract supplies the skin with moisture up to 4 hours. The third important ingredient is Hyaluron. Hyaluron occurs naturally in the human body. With age, the body’s own collagen, a component of human connective tissue, gradually becomes less effective at regenerating and replumping the skin from within. Hyaluron’s ability to store large amounts of water relative to its mass has been scientifically proven. This characteristic helps to counter human natural ageing process and maintain the skin’s fullness. Your skin will stay healthy and beautiful.